Ameriplan has contracted with Bensinger, DuPont & Associates (BDA) to provide valuable counseling and referral services to truck driver contractors and their immediate family members. Immediate family members are defined as spouses, children and parents living in the home. This Trucker Assistance Program (TAP) is offered only to contractors who have Zurich Occupational Accident Insurance offered by Ameriplan. TAP provides confidential assistance for problems, including: addictions, anxiety/stress, depression, financial and legal concerns, marital and family difficulties and parenting concerns. Telephone access is available 24 hours a day, 7 days a week through a toll-free number. Master’s degreed counselors are in the office seven days a week to immediately answer calls. Attorneys and financial consultants are available Monday through Friday during normal business hours. No time restrictions are placed on the calls. The BDA counselors initiate a detailed screening assessment that includes identification of presenting problems. They work with the caller to determine the appropriate types of services and develop a plan of action. BDA maintains a network of professional services and support resources in addition to their national network of clinical associates. Personalized searches and referrals are available. BDA offers legal assistance through telephone advice to a network of attorneys. Services are free. A free half hour in-person legal consultation is also available from attorneys located nationwide. Callers may receive a 25% reduction in usual and customary fees for legal work provided by Referral Attorneys. Financial counselors can address money management and credit questions that do not require a full counseling session. Immediate access to financial counselors is available by phone Monday through Saturday. Counselors can supplement the call by mailing supporting educational materials. Financial Counseling Sessions can also be established to address an individual’s concern. A session will be scheduled within seven days of the request. A financial assessment worksheet will be forwarded to the caller for completion prior to the session. Each session is goal oriented and results in a written action plan. 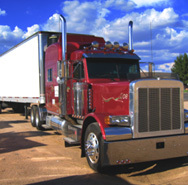 Independent Contractor truck drivers are faced with a host of responsibilities and decisions. BDA has a comprehensive web site available to assist with locating services ranging from child care, elder care for assistance with an elderly parent, gathering information on schools kindergarten through 12, colleges and universities, vocational schools and adult education. Articles, information and tip sheets are available on a variety of topics ranging from selecting a childcare provider to debt management and budgeting. Information shared with TAP remains confidential. Bensinger, DuPont & Associates will not release any information without the caller’s written permission.